Senegal has simply everything needed for interesting and comfortable vacation - numerous beaches, beautiful nature reserves and parks, a mysterious desert and many sights. 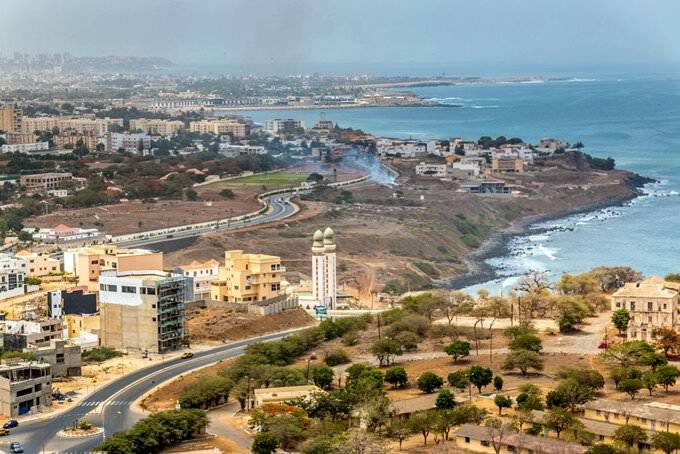 We should start description of the country from its capital, the city of Dakar. The most important architectural landmarks of the city are the building of the City Hall, the President Palace and the beautiful Independence Square. The building of these objects took place in the beginning of the 20th century. The area near the square remains the most famous destination for walks among both locals and travelers. 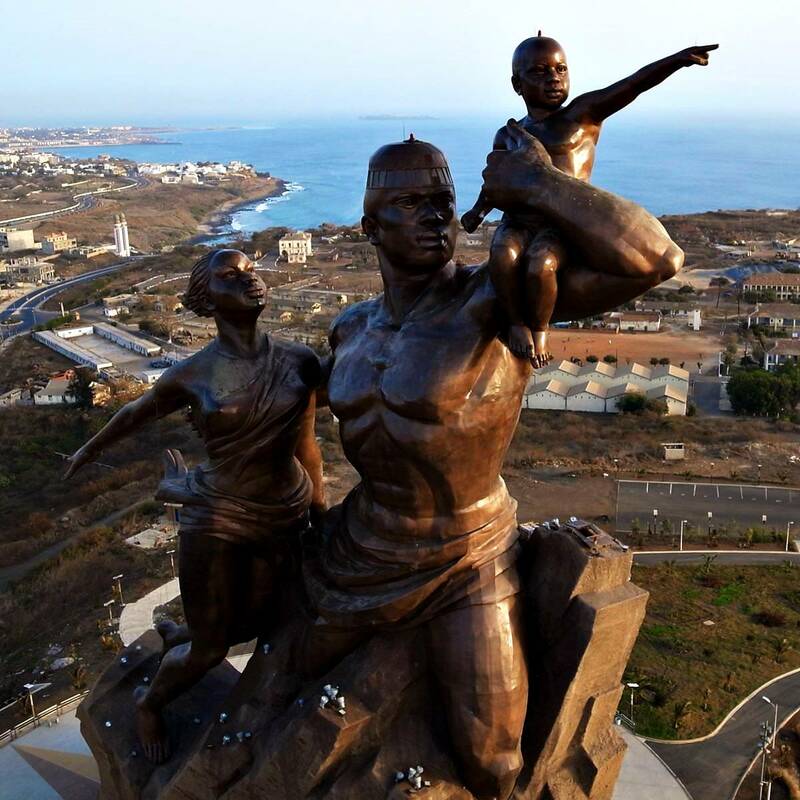 There are several interesting museums in Dakar, a visit to which should be included in the excursion plan of every traveler. The Art Museum, the Museum of History, the Marine Museum and the IFAN Museum of African Arts exhibit wonderful collections of rare items, including artworks, historic artifacts and collections of modern paintings. There is a beautiful building of the Grand Mosque not far away from the central square. This mosque was built in 1964, and its designers were inspired by the look of classic Islamic mosques of Medina. When describing Dakar, it's simply impossible to fail to mention rich and picturesque bazaars, which are usually called "marche" by locals. Kermel Marche is open in an old building with colonial design. This is also the largest market in the country. Those, who want to purchase memorable souvenirs, are recommended to visit Tilen Market, while fresh seafood is sold at Soumbedioune Market. Fans of beach rest are recommended to go to the region of Petite Cote, where they will enjoy rest on stunning beaches and lagoons. 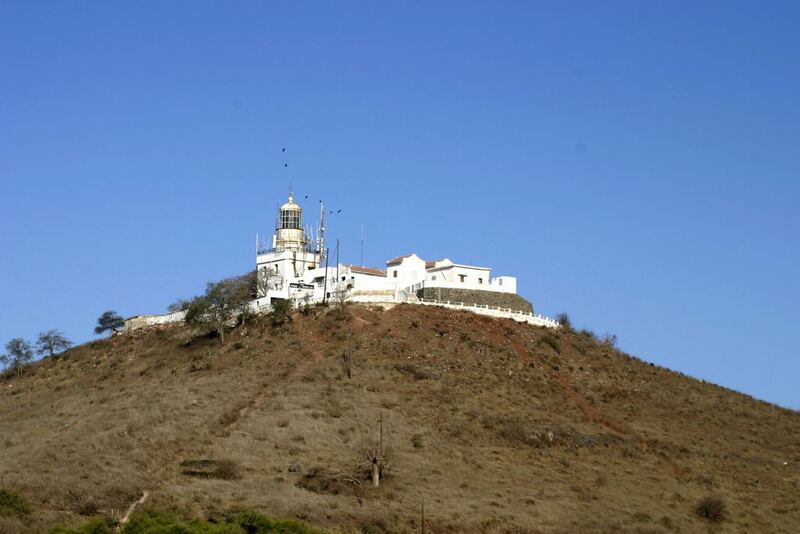 The island of Goree (Ile de Goree) will be liked by travellers who are keen on architectural landmarks and museums. The local Museum of History is open in Fort Estree - a beautiful old building. The ancient slave market remains the main landmark of the city. The market was restored literally from ashes. Nowadays, this site hosts the Museum of Folklore and Culture. In the 5th century, several large ethnic communities appeared on the territory of Senegal. Later, they formed Takrur. In the period between the 11th and 14th centuries, it was the most powerful country. In the Middle Ages, it had to compete with such countries, as Serer and Wolof. In the 15th century, local kingdoms were visited by the first Europeans. The first expedition to the new lands was carried out by Portuguese navigator Dinis Dias. In the first half of the 17th century, the kingdoms were visited by English and French merchants. The lands also attracted the European slave masters. The middle of the 17th century was marked by the beginning of the French colonization. Frenchmen formed the Senegalese Campaign. In 1838, they formed Saint-Louis. France and Great Britain had competed for the right to possess the coastal territory of Senegal for many years but France did not defer to its rival. At the beginning of the 19th century, it started conquering the internal territories of the country actively. Frenchmen managed to conquer all of them in 1890. During the colonization period, Senegal was involved in the active gold mining. The backbone of the agriculture was the cultivation of peanut plantations. As a result of the long struggle for independence, Senegal gained partial independence at the beginning of the 20th century. The country became completely independent in 1960. 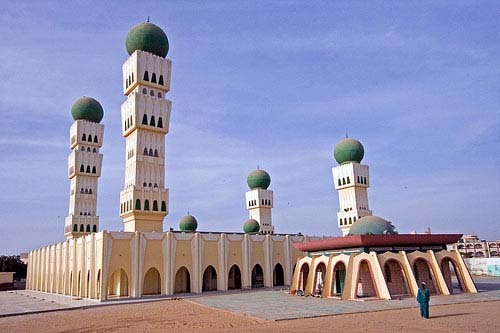 Despite the long colonial period, Senegal has preserved its unique traditions that now are reflected in different spheres of culture. During the period of the French colonization, as in the pre-colonial period, local people have not loved traditional croissants and baguettes. They still prepare millet flatbread. Before making important deeds, local people still hold ceremonies. They go to hermits for charms and use herbs and other unusual mascots as amulets. Such attributes are popular souvenirs among tourists. You can buy a hand-made mascot literally in any shop. Beautiful and colorful hand-made masks, items of precious woods, tom-toms  these are the most popular memorable gifts bought by travelers in Senegal. This country is also distinguished by the combination of modern comfort and historical traditions. 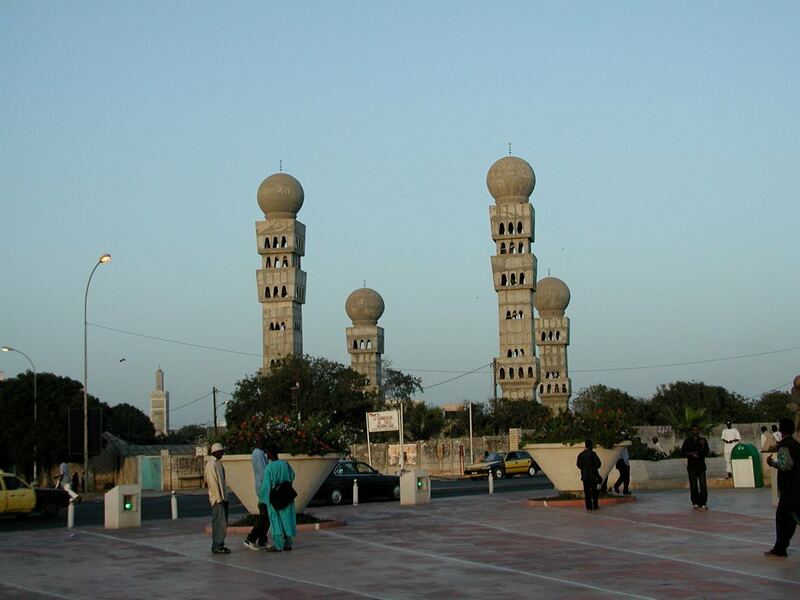 This article about iconic landmarks and sights of Senegal is protected by the copyright law. You can re-use the content, but only under the condition of placement of an active link to www.orangesmile.com. Dakar can boast with one of the most emblematic and impressive monuments of the world, African Renaissance Monument. Its opening took place relatively recently, in 2010. The event was timed to the 50th anniversary of Senegal's independence. The height of the monument is 49 meters. The statue is lined with 3 cm thick bronze sheets. The monument was supposed to be a symbol of independence and bright future for locals. However, after opening, the sculpture was heavily criticized. Travellers who like to explore unusual sights should go to the Gambia. 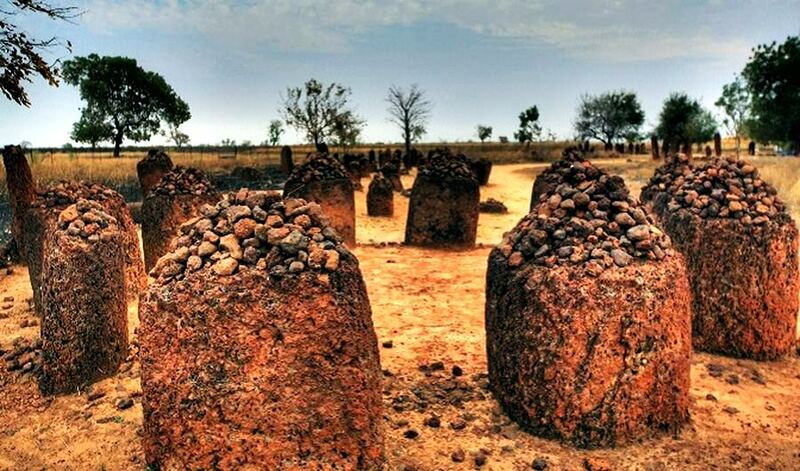 Here, in the Senegambia area are mysterious circles of megaliths, about the appointment and history of which scientists from around the world have been arguing for hundreds of years. Scientists managed to find out that the mysterious circles were built in the period from the 8th to the 12th century. With a more thorough investigation of the area, they discovered burials of earlier periods. Not only the wonderful flowers, but also the bacteria can color the world colorfully. An excellent confirmation of this is the lake Retba, located in Senegal. 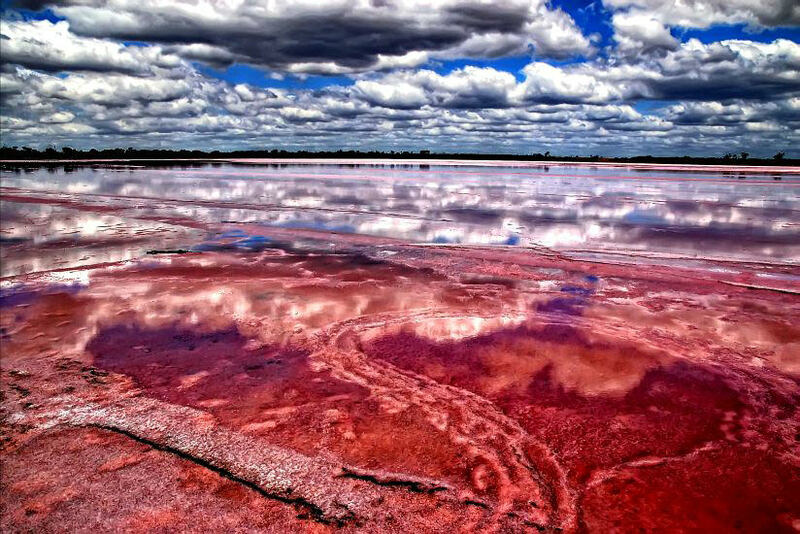 This unique water basin is characterized by the bright pink water color. The secret of the strange lake is quite simple - a special kind of cyanobacteria is living there. Remarkable that they are among the oldest microorganisms living on earth and among the few living creatures that can live in saturated saltwater.